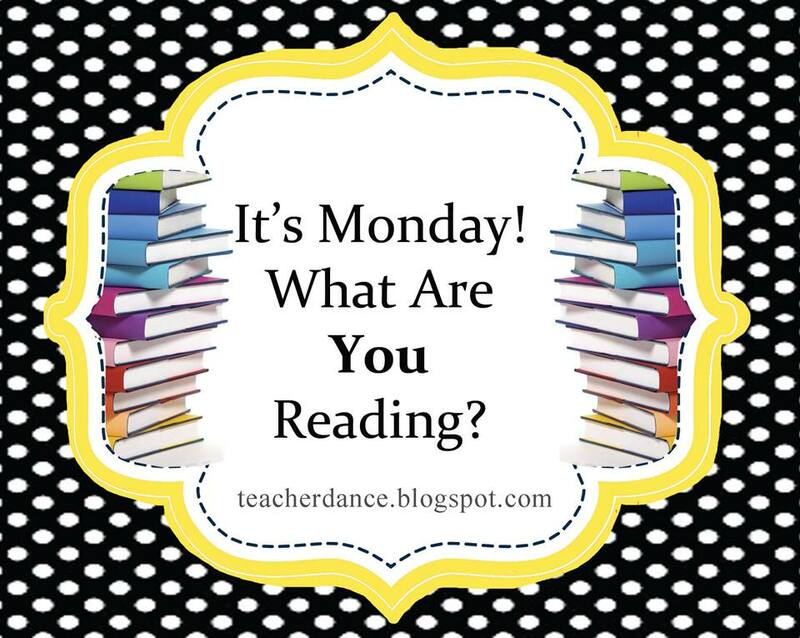 TeacherDance: Monday Reading - Wow! 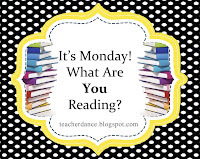 Every Monday, it's a pleasure to link up with a group that reviews books they want to share with others. If you visit, you'll be sure to find a book or more that you know you'll want to read! I'm headed for the beach at the end of the week, will post from there next week, then take some time off. Happy Reading! 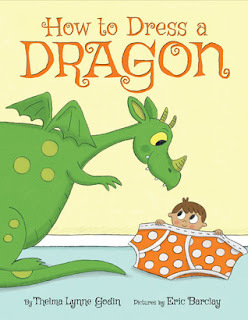 A funny short story, bold and colorful, about a boy catching a dragon flying by, and the challenge of dressing the dragon, especially in the favorite underwear, and shoes! My youngest granddaughter thought this was hilarious. We've read it more than once. There is something about underwear. . . There is nothing better than anticipation, and this time it's all about the cake. At least it's exciting until the cake goes missing, and one of these friends has crumbs on his shirt! Along with the dismay, and someone's embarrassment, it finally all works out. Aren't those three friends adorable? There is a wonderful review here at Jama Rattigan's Alphabet Soup. All the rest of the family is snoring, deep asleep, but not one young girl! She decides she will take her thoughts to the rooftop, along with the bedding and pillow. The dear cat follows along too, and the girl watches the stars, with her mother who has evidently followed along. Ink and watercolor sketches invite slow gazing for readers while turning the pages. When reading this to the granddaughters, it was fun to explain about rooftop gardens. 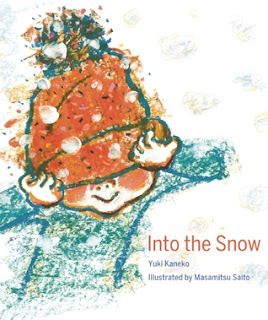 Tuck this away for winter, and pair it with A Snowy Day for reading in a warm cozy house or classroom. Published in China, the pages themselves look cold and snowy. A little boy tramps out into the wonderland with his sled, manages to go whirling down a hill, loving all this winter fun. The artist shares that oil pastels, gouache, acrylic colors and colored pencils were used to create the artwork, which is amazing. 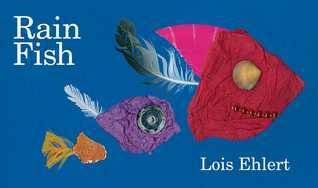 Just out in April, this new book by wonderful Lois Ehlert could be one to enjoy the poetic speculation about rain fish, or one that shows the delightful collage creations of fish, fish and more fish. 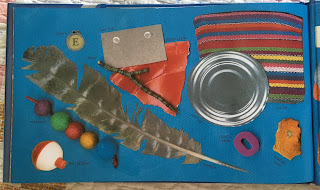 Using easily-found materials, Lois Ehlert again wows with the art. Crumpled paper, a found feather, and a card with two "dabbed" dots of white makes a fish swimming. . . I don't know where. This would make a terrific mentor text for poetry-writing and collage-making! 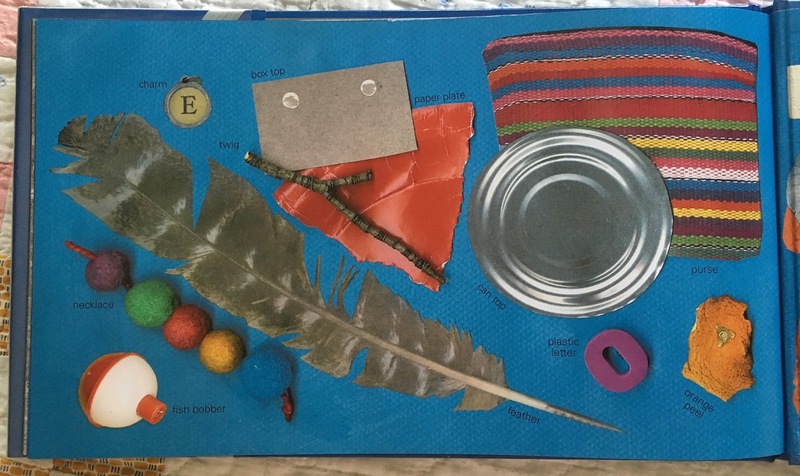 could you or your students make from these objects? Set in a rural area during World War II, holding the sweet flavor of "To Kill A Mockingbird", about judging someone without really knowing them. Young 11 year old Annabelle's life changes in the fall, the beginning of the school year when a new girl, Betty, arrives. She is mean, and turns Annabelle's, then others' lives upside down. The involvement of a troubled man from the first world war era mixes up the story even more, and Betty takes advantage of community frailties. I enjoyed the beautiful language used to describe the setting, a place that firmly supports young Annabelle in her struggles. She lives with parents and brothers, grandparents and a great aunt in the home where her family has lived for years. It's a beautiful place, but also one with sadness in its history, which Annabelle discovers when the asks about the name "Wolf Hollow". 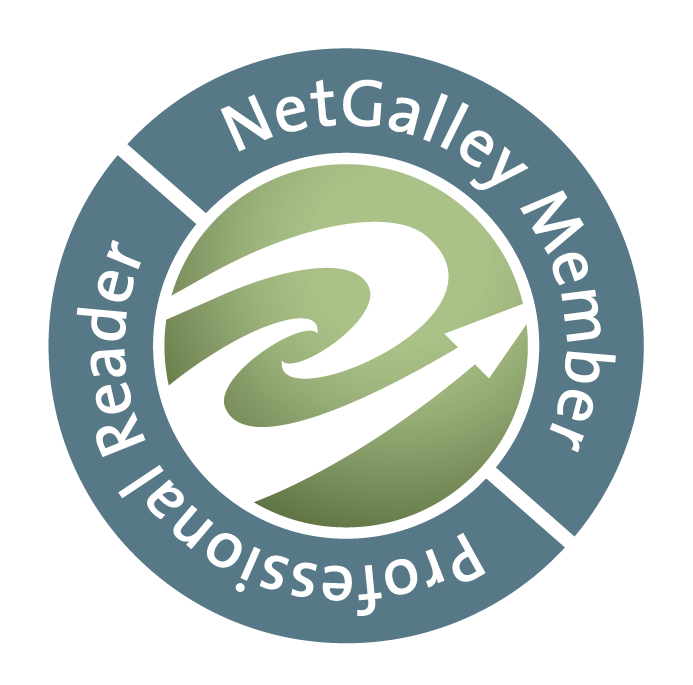 Told in first person, we readers are privileged to hear her thoughts when she works through distress, and then firm convictions for actions to help a friend. Here is one passage I marked. She has said goodbye to that soldier, both going to their homes. "I stayed for a bit and watched him make his way back across the turned ground between the strawberry patch and the woods, dipping and rising a little as he walked against the grain of the furrows, like a boat crossing a small sea." The story is not simple, just like life, and Annabelle learns that lesson well. Adult - From my "Must Read in 2016" list! 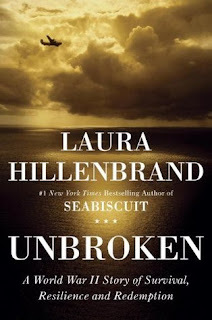 I waited a long time to read this, another incredible book from Laura Hillenbrand. I have a personal connection and it was not an easy read, but I enjoyed every part nonetheless. This man, Louis Zamperini, represents so much strength that is in all those experiencing the horrors of war. I haven't read any of these. They all sound great. How to Dress a Dragon would probably amuse many of my readers. You're right, there's nothing like the word underwear to make them giggle! Thanks for sharing! Thanks, Lisa, hope you find and enjoy each one! Wolf Hollow seemed very slow, and had some violent moments that wouldn't be great for younger BMG readers. I wasn't surprised when I finished it and learned that the writer usually wrote for adults. I agree about the content, Karen, and why I said YA along with middle grade. Although it's about an eleven year old. Sometimes it's a dilemma to know who a book suit. I know I wouldn't have hesitated with my 6th, 7th or 8th graders. I Love Cake and How to Dress a Dragon look adorable. I definitely need to check those out! They are much fun, Beth. Thanks! Wolf Hollow is in my stack for summer. I have a student who loves everything about WWII. Would this be similar to The War that Saved my Life or tougher? It's tougher, Margaret, & only about war in that this one man has become rather lost in his life because of World War I. It's really about bullying, and making choices. 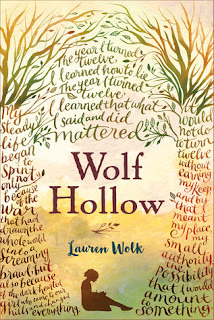 Wolf Hollow was such an unusual book - I loved it! It was fascinating, wasn't it, both nice, but then not, as I said "mixed up". I wonder if you have had any students read it, Tara? Thanks! I had to giggle at the cover of How to Dress a Dragon. Underpants are always funny. I love the photo of the art supplies Ehlert includes--how inspiring! I see that and I want to start making something. It's why I had to take the pic & share it, Elisabeth. I want to start gathering things to use too! Hope you enjoy each creative page. Thank you. Ehlert's illustrations are so unique, I can see this being a fantastic inspiration for an art project! I agree, Jane. I may get it for myself, but would have loved it in my classroom. Thanks! I have requested Wolf Hollow at the library. Can't wait to get my hands on it. I saw Rain Fish at the bookstore and keep thinking about what a fantastic project this would be . . . 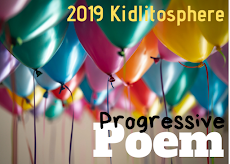 Yes to the art and yes to the poetry! I'm interested to see what you think of Wolf Hollow. And Rain Fish is simply delightful! Thanks, Carrie. wow, this is an amazing list! I look forward to reading all of these! Cake and Dragon look so fun! I haven't heard of them, so thank you for sharing. Wolf Hollow has such a beautiful cover and synopsis. Looking forward to it. Thanks, Kellee. 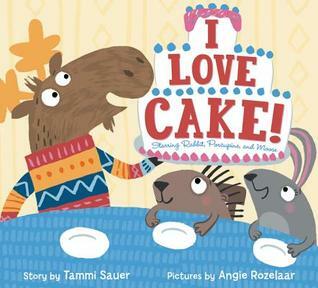 I discovered I Love Cake from Jama & my library had it! My granddaughter discovered the dragon book! Enjoy. I really enjoyed At Night. The illustrations are so comforting and accompany the text so well. I can relate to not being able to sleep (especially if a loved one is snoring nearby!) and needing to just be outside in the night air. Occasionally I like to step out onto our deck for the same reason. I've ordered the other three picture books from my library and am looking forward to reading them. I always get such great suggestions from your posts. Have a great week! 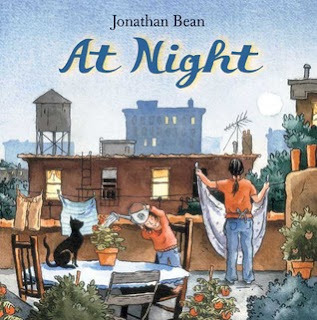 My granddaughter and I had fun imagining what it would be like to go to the rooftop in the night, Jana. I enjoyed that book a lot, too. Glad you found the other books. They are very fun! At Night and Rain Fish look absolutely amazing - Thank you for sharing these titles. Henry loves dragons. I think his love of dragons started with DRAGONS LOVE TACOS. Ever since then, he can't get enough of them! So I look forward to reading HOW TO DRESS A DRAGON! Thanks for sharing! I bet he will love it, Ricki, it is so funny. I am glad I shared it! What a wonderful selection of books! Yes, the INTO THE SNOW cover illustration is so inviting -- I can't wait to see inside. Thanks, Jeanne, it's a beautiful book! All these sound so good. I especially like your description of Wolf Hollow. Thanks, Kay, hope you find one that is very special! You would think I'd have read the Cake book since I'm all about cake but alas no. I'm very torn about reading Wolf Hollow. It sounds super depressing but I feel it may be a great book to recommend to teachers for some reason. The cake book is very fun, Earl. I liked Wolf Hollow, but it is quite serious, and I see by some reviews that some think it should be for YA. I don't agree, but each person has to decide what's right for their children.